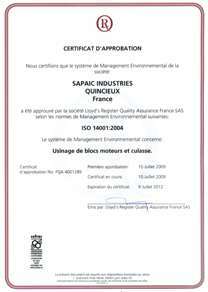 Keep certification ISO/TS 16949 and ISO 14001. Be in line with the regulations, and the laws in force applicable to our activities as well as other relevant requirements. Design and carry out our activities in order to protect the environment & prevent any source of pollution. Train, educate and involve staff in quality and environment. 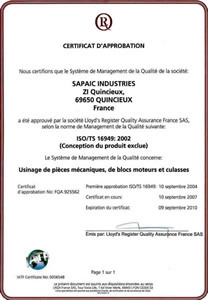 Improve in a permanent way our environmental results. Be a driver for proposals and improvements Make the current customers satisfied and gain new business.